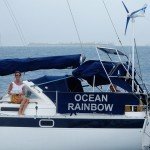 We have now been on Ocean Rainbow for a year with only 5 nights spent ashore (1 night in Suriname, 2 nights in Panama City and 2 nights in Belize interior). 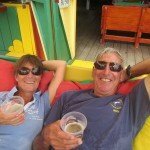 We have sailed 4900 nautical miles, visited 53 islands in 22 countries. 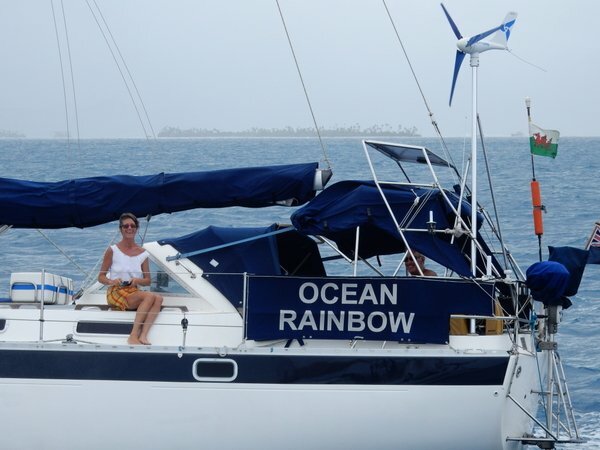 We’ve anchored on 88 occasions, taken up mooring buoys on 11 occasions and stayed in 7 marinas. And to add to the anniversary we have just experienced our worst ever electrical thunderstorm with very strong winds and scary, scary lightening! It’s been quite a year! Hurricane season is fast approaching so we will shortly be turning south and heading to Guatemala and the Rio Dulce. Here we will haul out in preparation for some much needed maintenance work before returning to UK to meet our grandson, check out the latest antics of our granddaughter and generally catch up with family and friends. 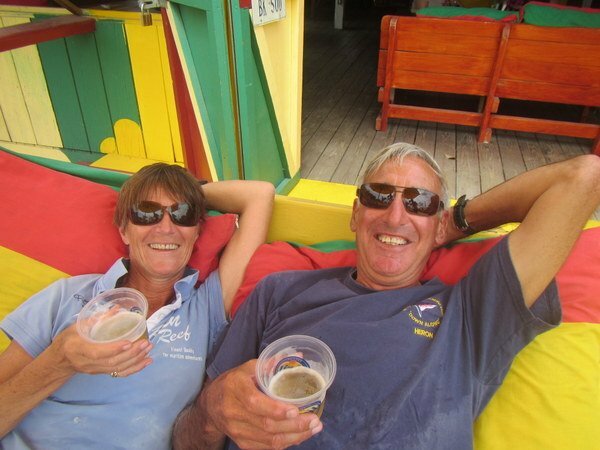 CONGRATULATIONS, it seems its a flurry of anniversaries, we have just had our RUBY, forty YES 40 years it is a miracle Sarah has survived so long, she is made of strong stuff, or it is the regular intravenous drip of red wine each night that helps.